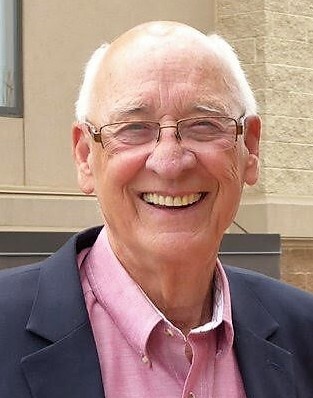 Charles Stephen "Chuck" Arnold, Jr.
Charles Stephen “Chuck” Arnold, Jr., 77, passed away surrounded by his family. A native of Kane, Pennsylvania, Chuck resided in Newport News and worked in sales for A&E Reprographics. Chuck loved spending time with his family and friends listening to music at the yearly Summer Concert Series. Chuck is preceded in rest by his parents, Charles Stephen Arnold, Sr. and Alice Arnold. He is survived by his loving wife of 61 years, Susan M. Arnold; sister, Eileen McAlee; brother, Robert Arnold; children, Laurie Atalla, Charles Arnold, III. (Kathy), and Jason Arnold (Paula); grandchildren, Heather, Jennifer, Kristen, Hollyann, Julianne, Jeffrey, and Madelyn; great-grandchildren, Zoey, Zack, Isabella, and Annie. In lieu of flowers, please make donations to the American Lung Association. At the family’s request, the burial will be held privately at a later date. Claytor Rollins Funeral Home is assisting the family. Online condolences to claytorrollins.com.